even if it’s not Wrigley Field. Yesterday was Kajsa’s first baseball game. At Miller Park (Milwaukee Brewers). I do love Miller Park, even though I’m more of a Cubs fan. I love the stadium, the family-friendly atmosphere, the sausage races… So, if one can’t be at Wrigley, the next best thing might be Miller Park. Anyhow, Kajsa mostly had a blast at the game. 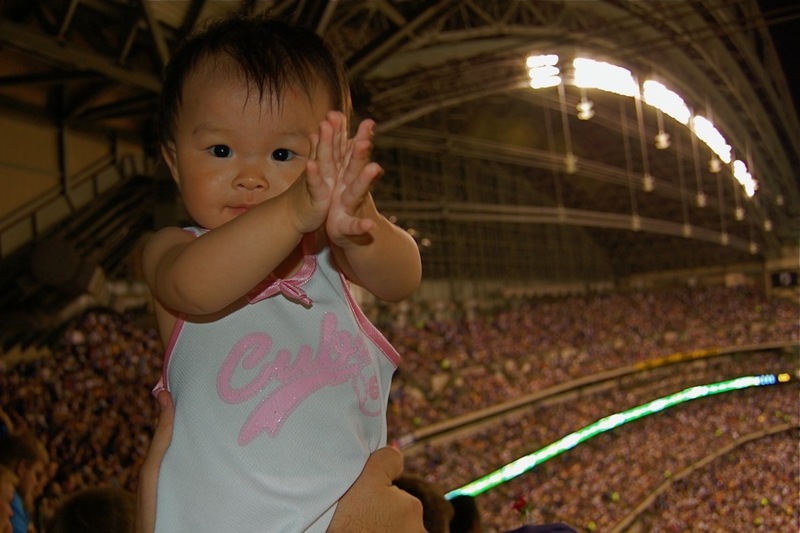 She was a bit overwhelmed by all the noise, but once she warmed up, she clapped. A lot.